IRI5 Composite Art | Ooh, my favorite! My brother sent me a link to this yesterday and I couldn’t wait to share it. The artist is Erika Iris Simmons and among other things, she mostly makes portraits of people associated with the medium she’s chosen to work with. 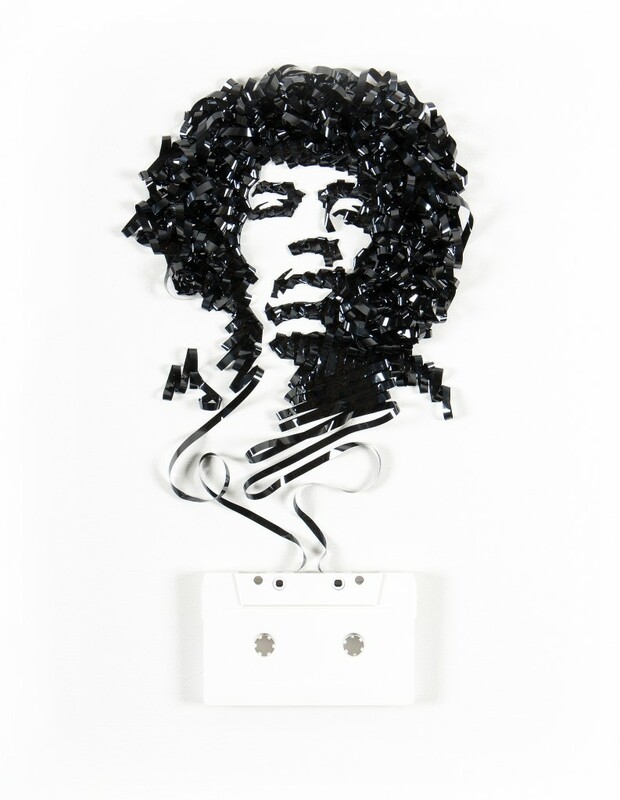 The cassette and film reel pieces are part of a series called “Ghost in the Machine,” but she uses other items as well and you can check them out at her site and blog. I love it all! 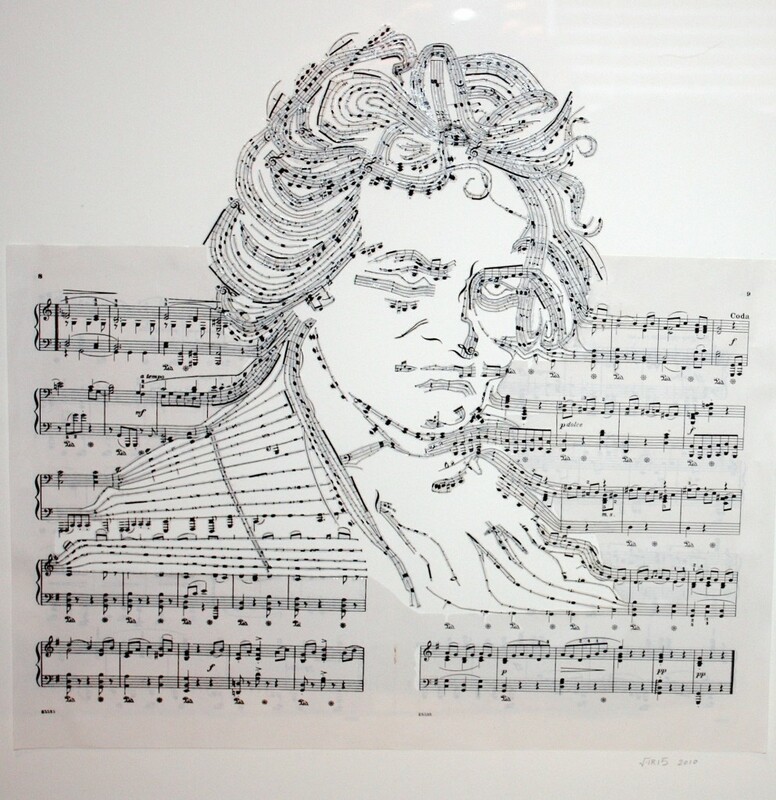 Look at this Beethoven piece and notice the precision in the cuts of the measures. 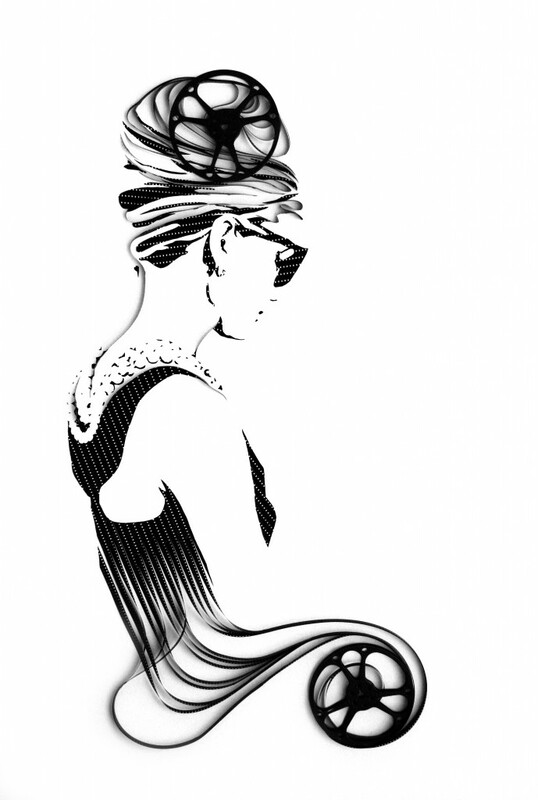 She details this exacting work with an X-acto knife in this post here. 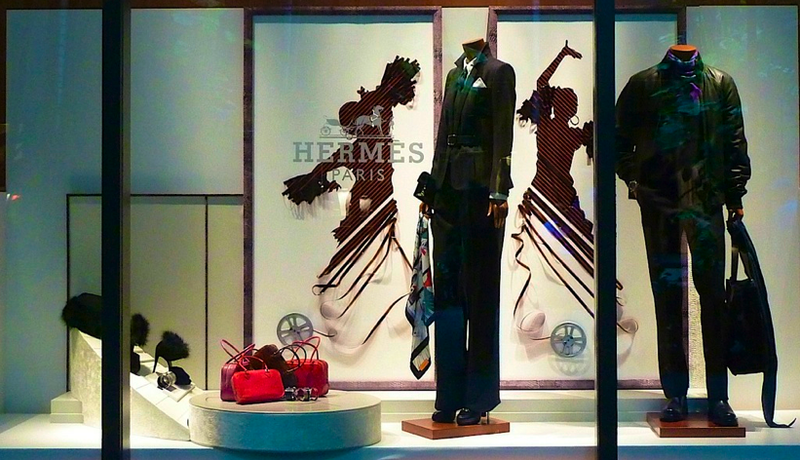 And here are her Salsa dancers for Hermes!